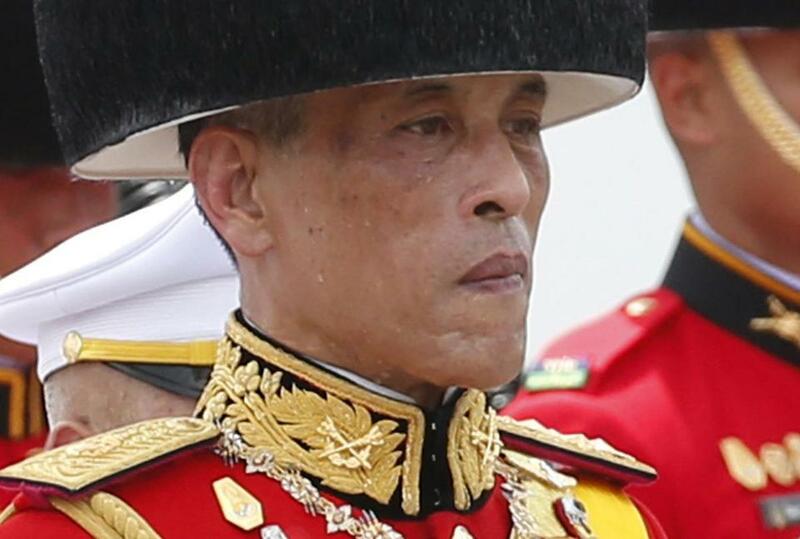 Thailand&apos;s King Maha Vajiralongkorn Bodindradebayavarangkun, during the funeral procession of his father the late King Bhumibol Adulyadej in Bangkok. Thailand’s election commission Monday disqualified the king’s sister from running for prime minister, formally putting an end to a candidacy that had briefly upended the nation’s political landscape. She was nominated Friday by a party linked to the Shinawatras, a political family that includes two former prime ministers accused by critics of not showing sufficient respect for Thailand’s royal institutions. The two former leaders — Thaksin Shinawatra and Yingluck Shinawatra — were both convicted in absentia of corruption-linked crimes and are living in exile. Although Ubolratana gave up her royal titles in 1972 when she married an American, Thailand’s strict laws against criticizing top members of the monarchy raised concerns about how the news media would cover her candidacy. Ubolratana’s name was not on the list of 69 candidates released by the election commission Monday. In a statement, the commission said that members of the royal family were “above politics” and thus ineligible to run for office. “Involvement of a high-ranking member of the royal family in politics, in any way, is against the nation’s traditions, customs, and culture,” the king’s statement said. The Thai Raksa Chart Party responded soon after by saying that it would comply with the orders. The Election Commission’s decision Monday means that the party will not be able to field a candidate for prime minister since the filing deadline has already passed. The commission certified candidates for prime minister from 45 other parties, including some linked to the Shinawatras. Forces loyal to Thaksin have won every national election in Thailand this century. The commission is also considering whether to recommend dissolving the Thai Raksa Chart Party on the grounds that it violated electoral law by nominating Ubolratana. If the commission makes such a recommendation, it would go to the Constitutional Court. There was no immediate comment from the party Monday. A news conference it had scheduled for after the commission’s announcement was canceled. Prayuth has also announced his candidacy for prime minister in what will be the first general election since the coup. A military-drafted constitution, however, ensures that the armed forces will retain significant control over politics, no matter who wins.